WILMINGTON, Mass. & PARIS--(BUSINESS WIRE)--Apr. 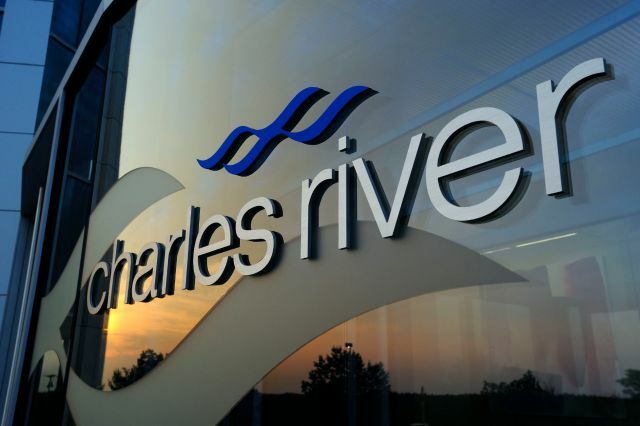 9, 2018-- Charles River Laboratories International, Inc. (NYSE: CRL) and PathoQuest today announced an expansion of their strategic partnership agreement to provide next-generation sequencing (NGS) services to the biologics industry. As part of the expanded partnership, Charles River intends to make a direct investment in PathoQuest. Since 2016, Charles River has provided clients access to PathoQuest’s NGS solution, which combines a proprietary sample preparation method, state-of-the-art equipment, and an exclusive curated pathogen database with a comprehensive BioIT analysis pipeline. PathoQuest’s NGS solution is a powerful test for identifying adventitious agents in a single, comprehensive analysis that minimizes false negatives while also providing a tool for the genetic characterization of cell lines. The combination of Charles River’s existing GLP and GMP capabilities and PathoQuest’s unique offering allows for a fully integrated, rapid, and reliable solution for the testing of vaccines, biologics, and gene therapy products. This press release includes forward-looking statements within the meaning of the Private Securities Litigation Reform Act of 1995. Forward-looking statements may be identified by the use of words such as “anticipate,” “believe,” “expect,” “intend,” “will,” “may,” “estimate,” “plan,” “outlook,” and “project,” and other similar expressions that predict or indicate future events or trends or that are not statements of historical matters. Forward looking statements include statements in this press release regarding the growth and expansion of the NGS platform, as well as any potential investment Charles River may make in PathoQuest. Forward-looking statements are based on Charles River’s current expectations and beliefs, and involve a number of risks and uncertainties that are difficult to predict and that could cause actual results to differ materially from those stated or implied by the forward-looking statements. A further description of these risks, uncertainties, and other matters can be found in the Risk Factors detailed in Charles River's Annual Report on Form 10-K as filed on February 13, 2018, as well as other filings we make with the Securities and Exchange Commission. Because forward-looking statements involve risks and uncertainties, actual results and events may differ materially from results and events currently expected by Charles River, and Charles River assumes no obligation and expressly disclaims any duty to update information contained in this news release except as required by law. PathoQuest, a spin out of Institut Pasteur, is a life sciences company offering a game changing metagenomics approach to improving pathogen detection in biological samples. PathoQuest’s technology combines a Next-Generation Sequencing (NGS) platform and a proprietary sample preparation process which is applicable to several types of samples with a proprietary pathogen genome sequence database and automated analysis pipeline. Based on the company’s technological platform, PathoQuest offers biopharmaceutical companies a disruptive approach to better characterize and secure production of biologics. PathoQuest’s genomic expert solution is currently being utilized by several major biopharma companies developing vaccines, biologics and cell/gene therapies. PathoQuest has also developed iDTECT Blood Test, the first and only clinical CE IVD metagenomic test in infectious disease. Using a single blood sample, the test provides clinicians and microbiologists with an improved method for detecting and identifying pathogens, particularly for immunocompromised patients with suspected infections. This new molecular diagnostic test is designed with the objective to improve antibiotic stewardship and lead to better patient care through precision medicine. To learn more about PathoQuest, visit www.pathoquest.com.